Match the quality of your food products with the quality of our food packaging products. We can set you up with quality plain or pre-printed stock items or we can customize the packaging to represent your restaurant’s image. 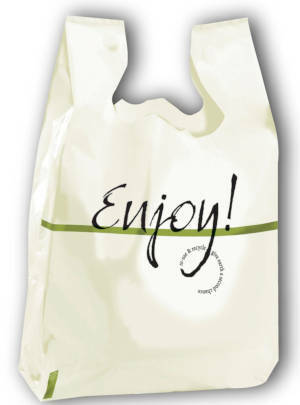 If you are looking for a sharp pre-printed bag to represent your restaurant, we have a good variety of pre-printed “Enjoy” bags for all of your carry-out needs. 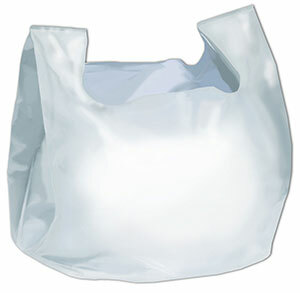 We offer the cream colored "Enjoy" take out bag style, wave top bags, party totes and the more elegant soft loop handle bag. We have what you need! If you are looking for quality stock or customizable bags to represent your restaurant, we have a good variety bags for all of your carry-out needs. Also, we have a few specialty stock or customizable items to complete your restaurant needs. 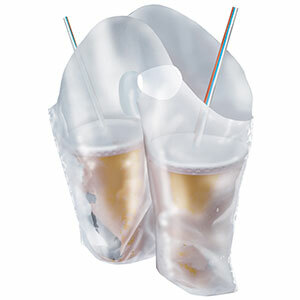 Our new drink carrier bags can advertise your business as customers scurry down Main Street. Our lunch carry bags can be customized and even used as promo bags at trade shows. The veggie print bags are great for the lunch counters at organic food stores. We also have silverware bags to assure your customers that they are getting clean utensils. Expanded Wholesale Restaurant Bags for almost any application.